Iodine is a building block for the thyroid hormones T3 and T4. 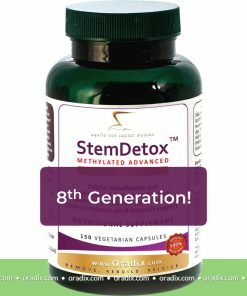 It is found mainly in the thyroid gland and is needed to produce thyroids hormones that stimulate the body’s basal metabolic rate. It is important for burning fat and increase energy. The Department of Health and Human Services has ordered 14 million doses of potassium iodide, the compound that protects the body from radioactive poisoning in the aftermath of severe nuclear accidents, to be delivered before the beginning of February (Click here). A search of the FedBizOpps website returns no other results regarding the purchase of potassium iodide from any government agency, suggesting that the DHHS bulk buy of the tablets is unprecedented in recent times. One could argue that you only order 14 million doses of potassium iodide if you have knowledge about a coming nuclear war. Fukushima RADIATION has hit 141 cpm in June on the island of Kauai, Hawaii, while Oahu has turned off their radiation monitors. The radiation has gone up 5x since March 11, 2011. 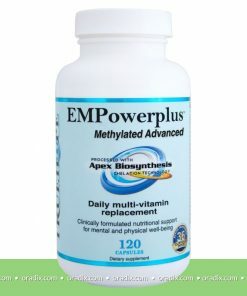 Benefit form our “Big Family Pack” that has 120 vegi caps with 100mg potassium iodide (KI), each. 95% of people are moderate to severely iodine deficient – according to Dr. David Brownstein who is a thyroid (and iodine) specialist! The presence of iodine can make a tremendous difference in one’s personality and eventually their body shape. 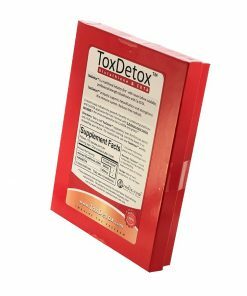 In cases of over active thyroid or those taking medication for thyroid conditions consult a health professional before taking an iodine supplement. 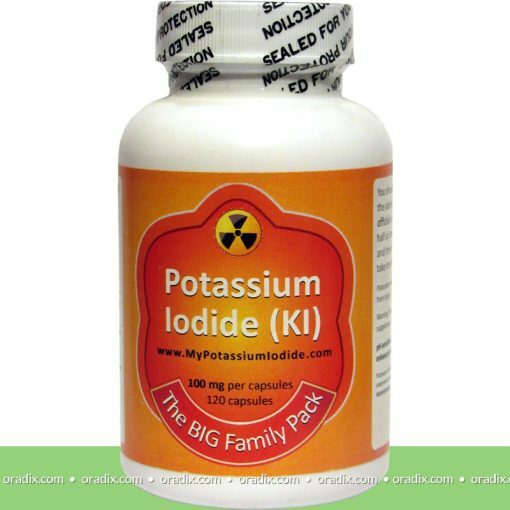 Potassium Iodide (KI) is used to protect your thyroid gland against radioactive iodine (131-I) released during a nuclear emergency. It does this by flooding the thyroid with stable, safe iodine, which blocks the absorption of dangerous radioactive iodine. Following a radiological or nuclear event, radioactive iodine is released into the air and travels as a cloud, and taken up through our lungs when we breathe. 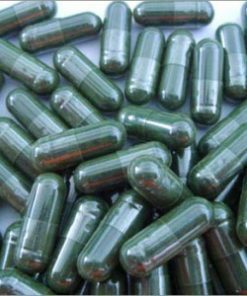 It can also contaminate local food supply, including vegetables, milk and even chlorella or other ‘food supplement ingredients’ harvested from an open environment (Japan has many chlorella manufacturing ponds) and water supply and be ingested. Once present in the body, the thyroid gland will begin to rapidly absorb it/take it up. Potassium iodide competes with radioactive iodine at receptor sites. If taken at least a half an hour before radiation exposure, it fills these receptor sites and prevents the thyroid from taking up any of the radioactive iodine. Its action at these receptor sites lasts 24 hours, meaning the thyroid is unable to take up any iodine – stable or radioactive – during that time. Normally, you would take the potassium iodide for 7 to 10 days in an emergency. A daily one time dose of potassium iodide is usually all that is recommended – for seven to ten days in an emergency. If there is a threat that radioactive iodine will be in the environment for longer, please ask the advice of your local healthcare practitioner or public health agency. There are several health risks associated with high dosage or long-term dosage of potassium iodide, especially in infants and children, or those with a pre-existing thyroid condition. Taking more than is recommended for a longer period of time will not offer any more protection and may be putting these individuals at risk. Infants and children are at the highest risk of developing thyroid cancer due to an accumulation of radioactive iodine. Infants who are breast feeding still need some sort of supplementation, as the breast milk will not contain enough stable iodine to protect the infant from exposure. 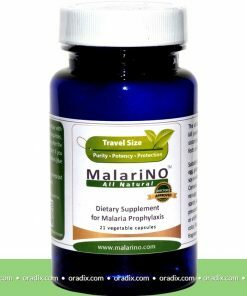 It is recommended that adults (18+) take a dose of 100 mg, children ages 3-18 years should take only 50 mg, unless adult sized (at this time the adult dose is recommended). Infants and children between 1mos – 3 years are recommended to take 33 mg. And newborns are told to take 16 mg. It is important to understand that potassium iodide does not protect the body as a whole from radioactive iodine, nor does it prevent any other body part from taking it up. It’s actions are very specific to the thyroid and all of the cells that take up iodine, such as the muscles, the skin, etc. (even so the thyroid takes up the most iodine). It has no effect on other radioactive elements, like cesium, nor the effects these elements may have on the body. 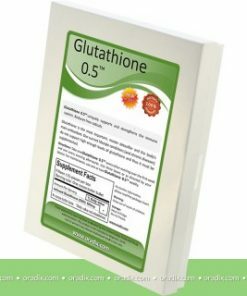 Why 95% of people are iodine deficient? There are several reasons why 95% of people are iodine deficient. 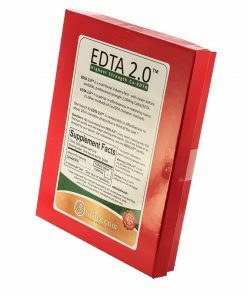 The thyroid deficiency is exacerbated by the toxicities we’re exposed to. The fluoride and chlorine in our water supply binds to iodine receptors and cause the body to release iodine. Bromide is highly elevated in most people (and in cancer patients while the bromide levels are high, the iodine levels are too low). Bromide is a halogen that combines with iodine receptors and also causes the body to lose iodine. Chlorine derivatives, which are found in pesticides and insecticides, can bind to iodine sites and cause the body to release iodine. Our exposure to these items have gone up dramatically in the last 20 to 40 years causing this iodine deficiency problem to markedly worsen. It seems that iodine deficiency plays a critical role in one in seven women having breast cancer and one in three men having prostate cancer. This huge chronic ‘iodine deficiency’ illness that we’re seeing is not being addressed by conventional medicine. 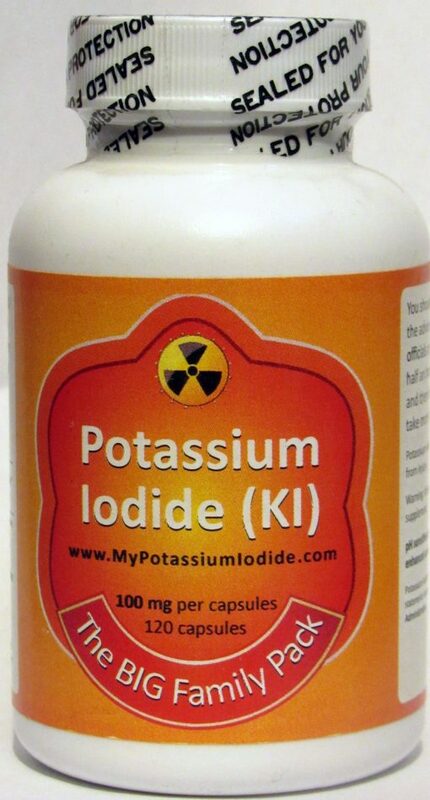 Potassium iodide is a salt of stable iodine. For the most part, we can get adequate amounts of stable iodine from the foods that we eat. 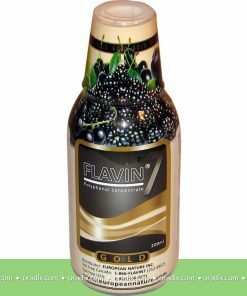 Often difficult to get from the diet, iodine is an essential trace mineral necessary for overall health. 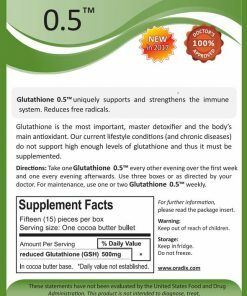 Your thyroid gland needs this mineral to manufacture optimum levels of the thyroid hormones thyroxine (T4) and triiodothryonine (T3). 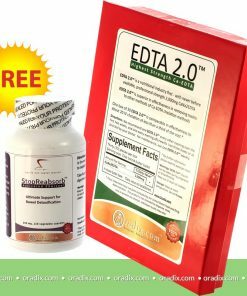 These hormones – based on iodine and the amino acid tyrosine – regulate your body’s overall metabolism and also play a regulating role for other hormones produced by the body. 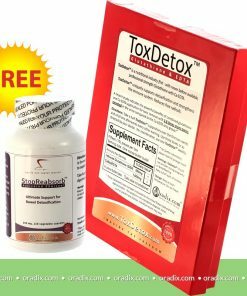 When there is not enough iodine present, your thyroid (located in the throat area) is unable to produce enough thyroid hormone causing weight gain, low energy, poor concentration (brain fog), depression, blood sugar fluctuations and other symptoms. Iodine has become so difficult to get in the diet that staple foods like salt are now enriched with iodine. 1. What is the thyroid gland and what does it do? The thyroid is a small gland located at the base of the throat. It has the only cells in the body capable of absorbing iodine. A functioning thyroid gland concentrates iodine from a person’s blood, obtained through food, iodized salt, or supplements, and combines that iodine with the amino acid tyrosine. The thyroid then converts the iodine/tyrosine combination into the hormones that control a person’s metabolism and growth rate. 2. 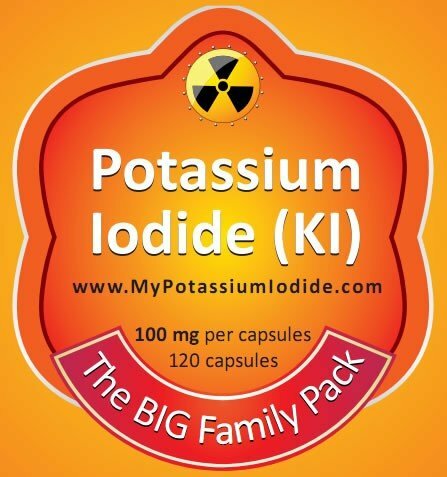 What is Potassium Iodide, the “Big Family Pack”? Our Potassium Iodide (KI) capsules are used to protect your thyroid gland against radioactive iodine released during a nuclear emergency. It does this by flooding the thyroid with stable, safe iodine, which blocks the absorption of dangerous radioactive iodine. 3. 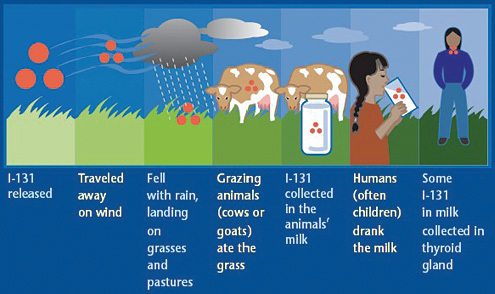 What is the risk to human health during a radiation emergency? 4. Why should we take Potassium Iodide in a radiological accident? The effectiveness of KI as a specific blocker of thyroid radioiodine uptake is well established. When administered in the recommended dose, the potassium iodide in is absorbed by the thyroid gland, which will effectively saturate the gland (the receptor sites) in such a way that inhaled or ingested radioactive iodines will not be accumulated in the thyroid gland. Therefore the risk of thyroid cancer in individuals or populations is reduced. 5. How safe is Potassium Iodide? 6. Should pregnant women take Potassium Iodide? According to the FDA, pregnant women should be given KI for their own protection and for that of the fetus, as iodine (whether stable or radioactive) readily crosses the placenta. However, because of the risk of blocking fetal thyroid function with excess stable iodine, repeat dosing with KI of pregnant women should be avoided. 7. Who should not take Potassium Iodide or have restricted use? According to the FDA, persons with known iodine sensitivity should avoid taking Potassium Iodide, as should individuals with dermatitis herpetiformis and hypocomplementemic vasculitis, extremely rare conditions associated with an increased risk of iodine hypersensitivity. Individuals with multinodular goiter, Graves’ disease, and autoimmune thyroiditis should be treated with caution—especially if dosing extends beyond a few days. 8. Why are there 100 mgs. 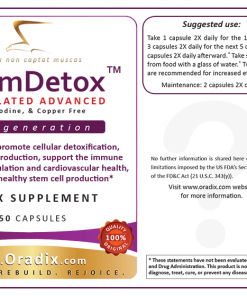 of Potassium Iodide in each capsule? 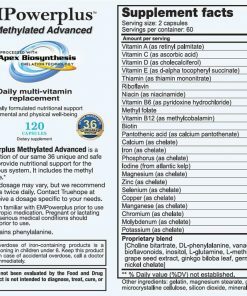 The FDA Guideline suggests: “For the sake of logistical simplicity in the dispensing and administration of KI to children, FDA recommends a 65-mg. dose as standard for all school-age children while allowing for the adult dose (up to 130 mg) in adolescents approaching adult size.” The capsule can be opened and a portion of the Potassium Iodide powder can be disolved in water or used on food as ‘salt’ to fine-tune the required amount. 9. When should one take Potassium Iodide? Potassium Iodide should be taken as soon as possible after an alert from public health officials tell you, preferably a half an hour before the ‘cloud’ reaches your area. If health officials instruct you to repeat the dose, you should take one dose every 24 hours. Do not take any KI product unless instructed to do so by local health authorities. 10. How is our Potassium Iodide for small children? One of the major advantages of our Potassium Iodide capsules is that the capsules contain an evenly distributed potassium iodide powder, making it easily portioned, after the capsule is opened, to satisfy the graded dose requirement, as recommended by the FDA Guideline (see below). Age Group: Children ages 3 through 18 yrs. The actual dose should depend on the weight of the child, even so the ‘official FDA’ dose mentions 65mg. Naturally, a 3 year old child might require only 40mg while a 18 year old could even get the 100mg, given to adults. The actual dose should depend on the weight of the child. The ‘official range’ can be about 16mg to 65mg. Use proper judgement. The actual dose should depend on the weight of the child. Use proper judgement. Tablets can cause a major problem in an emergency for those small children (and adults) who cannot swallow the tablets with water. This is another reason why we prefer the capsules over the tablets. 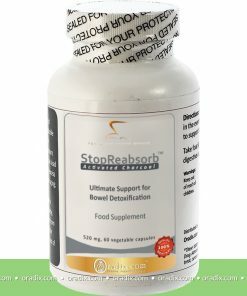 The capsules can be opened and the content dissolved in water or other liquids preferable to drink. 11. Will delayed administration of Potassium Iodide flush radioactive iodine out of the thyroid gland? Radioactive iodine, once bound in the thyroid, cannot be flushed out by subsequent administration of nonradioactive iodine. Therefore, any delay in saturating your thyroid with Potassium Iodide is a serious risk to be aggressively avoided, especially for your children. It is highly recommended that you should have a supply of Potassium Iodide on hand now. MUST BE REALLY ON HAND! Potassium Iodide (KI) must be taken at least a half an hour before (or soon after) exposure of radiation from nuclear fallout in order to be effective, therefore, Potassium Iodide must be readily on-hand. In the event of a nuclear emergency there simply will not be time to protect your family with potassium iodide if you do not have it already. Ideally, you should keep a bottle of Potassium Iodide at home and another one in your car. These two bottles of Potassium Iodide are investments that can protect you and your loved ones from this very real threat. FACT: Children are the most vulnerable group of people to thyroid injury due to radioactive fallout. The vast majority of cancers from the Chernobyl accident are presenting in people who were between the ages of 0 and 14 at the time of the disaster. A population of about 2.3 million children living in southern Belarus, northern Ukraine and the most easterly regions of the Russian federation was exposed to significant amounts of radioactive iodine during the Chernobyl accident. The result, less than fifteen years after the accident, is more than 1,000 cases of thyroid cancer, most probably solely attributable to this single release of radioactivity to the environment. The sensitivity of the child’s thyroid to the carcinogenic effects of radiation represents a significant public health risk in the event of exposure to radioactive iodine. This has been well established. In the most affected area in Belarus, the yearly incidence has risen close to 100 cases per million children, which is more than 100 times the incidence in the general population. It is now generally accepted that this excess has resulted from exposure to the radioactive iodine released in the accident. The Chernobyl accident has demonstrated that significant levels of radioactive iodine can drift hundreds of miles from the site. Another important insight gained from the Chernobyl accident concerns the side effects of stable iodine. In Poland, potassium iodide, as single doses, was given to 10 million children. No serious side effects were seen. The incidence of severe side effects from a single dose of iodine was less than 1 in 10 million in children and less than 1 in a million in adults. Emergency government stock piles of potassium iodide are only available in limited supplies in Alabama, Arizona, Maine, and Tennessee. In NY and NJ some tablets have been handed out to residents closest to Nuclear power plants.Analysing the data from the Chernobyl nuclear disaster it is evident that the government does not have the ability to provide protection in the event of a nuclear disaster.Studies have shown that “thyroid damage can be a concern more than 200 miles downwind from a nuclear accident. Emergency planning which focuses on areas close to nuclear power plants is not sufficient.” Evacuation is still the main component of the governments plant to protect the public. We all know that evacuation will not work in most circumstances. Fallout from Chernobyl was first detected over 300 miles from the accident site. If you live within 300 miles of a nuclear power plant, Potassium Iodide can protect your family from the effects of radioactive fallout. The American Thyroid Association released a study of potassium iodide on September 28, 2002. In that statement the Association endorsed potassium iodide for radiation emergencies. Chernobyl not only proved that potassium iodide was effective in preventing thyroid cancer, it also showed that its distribution should not be limited to 10 or 20 miles. No one can predict how a radioactive cloud may spread. After the disaster at Chernobyl, higher than expected rates of thyroid cancer were found more than 200 miles away from the nuclear plant. There are 103 nuclear power reactors currently operating in the U.S.
Today there are 103 nuclear reactors in the United States. Although these reactors are heavily guarded, there is always the possibility of a nuclear terrorist attack. Additionally, nuclear emission can result from an accident at a power plant and these accident might be caused by an earthcake in the US or anywhere else. Many people, especially in the northeastern states remember the fear caused by the threat of the Three Mile Island reactor disaster.